This was captivating, enraging, and eye opening. I have since purchased this book for several friends and colleagues. It is outstanding! 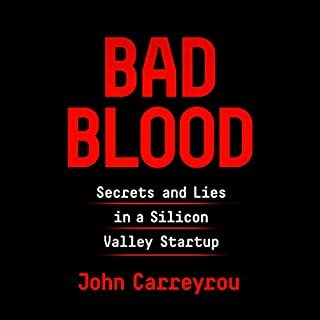 Thank you John Carreyrou and your brave sources for telling this story. Poorly edited, top of the waves memoir. What did you like best about Who I Am? What did you like least? I loved Pete's narration. I also enjoyed hearing details about his life and writing process. I disliked the poor editing. He jumped from episode to episode with no transition. People entered and left his life with no explanation. His drug and alcohol problems came and went just as mysteriously. I would have liked more detail about every aspect of his life. 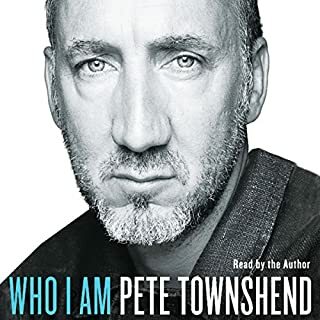 Have you listened to any of Pete Townshend’s other performances before? How does this one compare? Was Who I Am worth the listening time? Yes. It was good, as far as it went. What would have made Dynamite Road better? Dynamite Road would have been better if the small sliver of a plot had more to it. I am now listening to Predictably Irrational. What does Andrew Klavan bring to the story that you wouldn?? ?t experience if you just read the book? I thought Klavan was a very good reader. He acted out the character's voices well and in a non-distracting way. He was among the best readers I've heard. If you could play editor, what scene or scenes would you have cut from Dynamite Road? I think Dynamite Road had enough real meat to be a short story, which is a shame. The characters, though stereotypical, were fun. He created a huge build up to what was ultimately a wafer thin story. 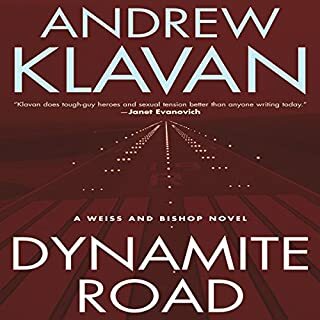 I really enjoy Klavan's political writing and enjoyed Empire of Lies. To Paul Christopher, the world of espionage had become a region of the mad, in which men and women lived without conviction and were compelled by a craving for conspiracy. But now, he has to find the "mole" in the Outfit and demand justice from enemies, past and present. As he follows the twisting path of this secret American intelligence group, he discovers a trail of betrayal and violence that leads backward to the horrors of the Nazi era and plunges forward beyond the Vietnam War's labyrinth of lies. I absolutely love McCarry's novels and this one is among my favorites. I took long walks with my dog, just because I couldn't stop listening to this one. 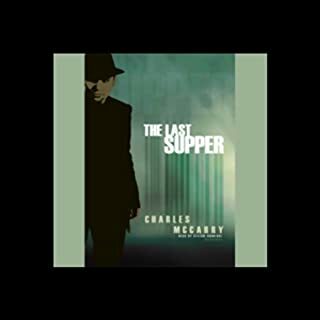 If you enjoy Eric Ambler, Graham Greene, Alan Furst, etc..., McCarry is someone you should check out. 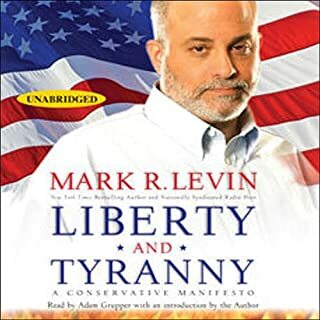 Conservative talk radio's fastest-growing superstar is also a New York Times best-selling phenomenon: the author of the groundbreaking critique of the Supreme Court, Men in Black, and the deeply personal dog lover's memoir Rescuing Sprite, Mark R. Levin now delivers the book that characterizes both his devotion to his more than 5 million listeners and his love of our country and the legacy of our Founding Fathers. Really disappointing. A wasted opportunity. I had high hopes for this book. I like Mr. Levin's writings for National Reivew (and love that publication). But, this book seems unlikely to persuade anyone to join the ranks of conservatives nor for conservatives to adopt his manifesto. I was glad to see a conservative book high on the best seller list (particularly one that isn't a screed a la Ann Coulter). But, this one is so filled with conclusory statements and devoid of persuasive argument as to render it not very useful. He seems to transition from one contemporary issue to the next without rhyme or reason. President of the United States Donald Vanderdamp is having a hell of a time getting his nominees appointed to the Supreme Court. After one nominee is rejected for insufficiently appreciating To Kill A Mockingbird, the president chooses someone so beloved by voters that the Senate won't have the guts to reject her. I really enjoy Christopher Buckley's novels. Supreme Courtship was much like his others-satirical and fun, but not particularly hard hitting. This one was particularly light in terms of plot. 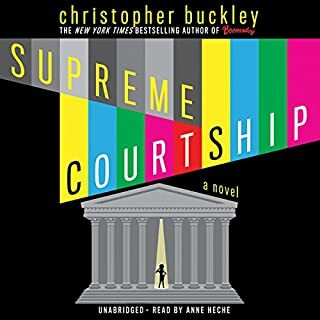 Because the main character is vying for a spot on the Supreme Court, Buckley's lack of legal knowledge becomes a little distracting. I thought Anne Heche did a terrific job narrating. In sum, I think this was a great idea and could have been executed better. It was still fun though. 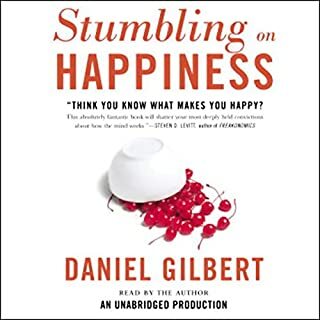 I really enjoyed Stumbling on Happiness. It reminded me a great deal of Freakonomics. It is a highly entertaining piece psychology writing designed for mass-consumption (rather than a scholarly journal). It's title makes it sound like a self-help book. It is not. It is a science book (though a fun one). Louis Charles ("Lucy") Lynch has spent all his 60 years in upstate Thomaston, New York, married to the same woman, Sarah, for 40 of them, their son now a grown man. Like his late, beloved father, Lucy is an optimist, though he's had plenty of reasons not to be: chief among them his mother, still indomitably alive. 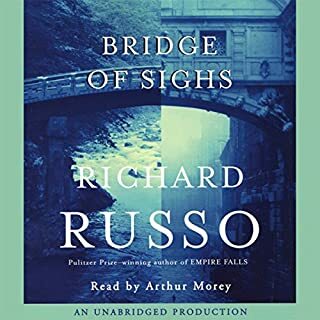 I love Richard Russo and I think this might be my favorite book of his. I enjoyed the humor of Straight Man and the inner turmoil of Empire Falls, but I found this book most particularly affecting. 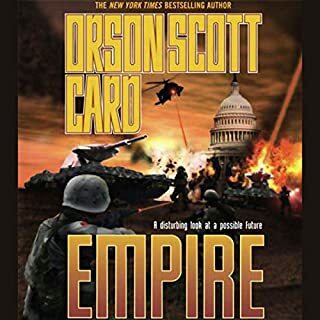 I really enjoy Orson Scott Card's writing and this book is no exception. The writing pulls you along and is generally very entertaining. The main idea of the book is really very interesting and provocative. Unfortunately, the storyline does not quite live up to the idea. This book is still better than 70% or more of what is written, but I felt a little let down. This is a terrific book. 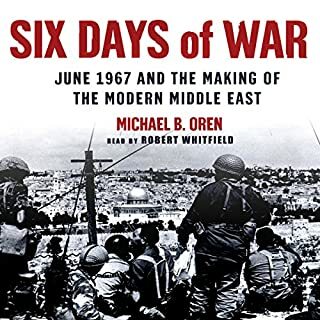 It gave me a ton of new insights into this war and the events leading up to it.